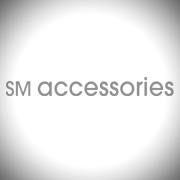 SM Accessories is launching their biggest campaign yet this November 16, 2012. Watch out as the biggest stars of the industry strut their stuff clad in the latest offerings from SM Accessories. A-list style is now attainable with affordable and stylish pieces at your fingertips! 'Til then, wanna join in on the guessing game and maybe win yourself some highly covetable pieces from SM? and LIKE SM Accessories on Facebook for more info. don't forget to join my Monotheme Birthday Countdown giveaway! 2nd winner to be announced tomorrow! Good Luck guys, keep tweeting, more gift sets to be given away!! !